Welcome, in this course we will give you a complete run-through of the EN ISO 13485:2016; Medical devices — Quality management systems — Requirements for regulatory purposes. 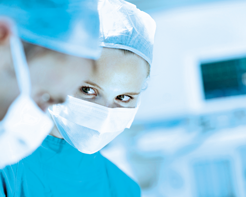 Differences with the previous version ISO 13485:2003/2012 are specifically highlighted. The course will go through all clauses and requirements and discuss interpretation and practical implications. It provides a basic understanding of the requirements and how to establish and maintain a well working quality management system. A quality management system according to ISO 13485:2016 is in many cases a practical prerequisite for CE-marking and other national regulatory approvals of medical devices and in-vitro diagnostic medical devices.This latest revised standard is also targeting other operators such as suppliers, distributors, importers within the medical device supply chain. Course material is in English. Verbal presentation and discussions in Swedish. Nils-Åke Lindberg, who has 30 years of experience in the medical device industry with numerous audits and actively participating in EU COM medical device working groups and standardization committees; ISO/TC210/WG1 and SIS/TK355 who has been part of development of ISO 13485:2016. Personnel within QA, development, production, management, internal auditors, process owners, regulatory, etc at companies within the medical device supply chain. Basic knowledge of quality systems, ISO 9001, 13485, GMP, etc is preferred. Course fee 11900 SEK, excl. local VAT (moms). Price includes printed course material, training certificate, lunches and coffees. EN ISO 13485:2016 standard in not included but can be borrowed during the course. Invoice will be sent at time of course registration. Group registrations, 2nd and 3rd person from the same company a 10% discount is applied. For 4th and additional persons 25% discount. • Registration will be valid upon returned confirmation by QAdvis. If you need hotel accommodation you can use QAdvis discount, between 10-20% on selected business hotels within walking distance to the training venue. Contact us for information about hotels and discount if needed. made less than 2 weeks before the starting date of an event will not be refunded. If you are unable to attend, substitution with a colleague is possible and recommended.